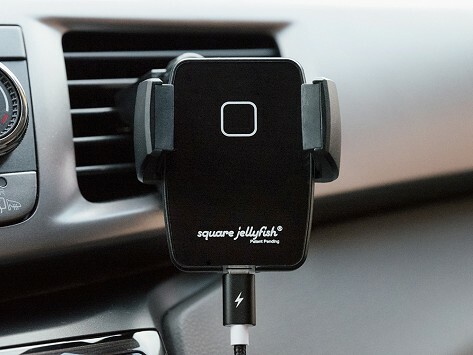 Fit this wireless phone charger into an air vent phone mount or tripod mount from Square Jellyfish to streamline functions while you’re on the go. The charger works with phones that have induction charging capabilities and can be used without a phone holder on flat surfaces, too. Dimensions: 2" x 0.25" x 2.75"